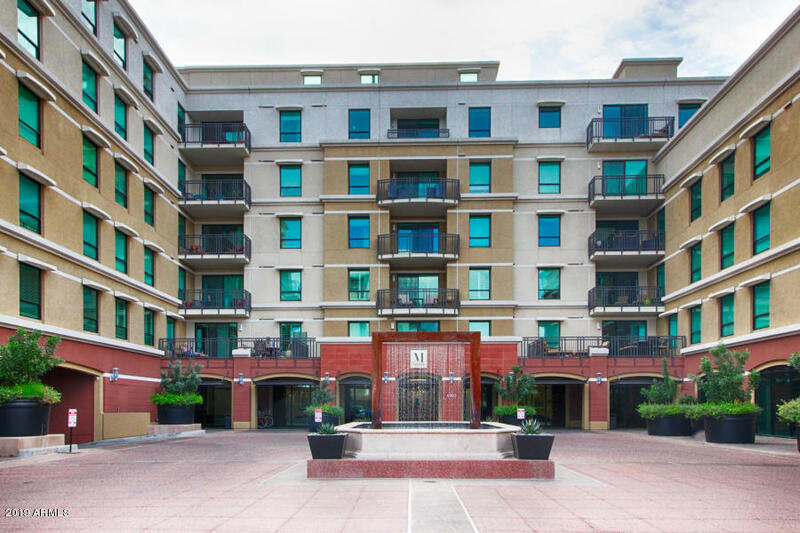 All MARK CONDOMINIUM homes currently listed for sale in Scottsdale as of 04/23/2019 are shown below. You can change the search criteria at any time by pressing the 'Change Search' button below. "POSH URBAN HIGH RISE living at its finest! Exquisite contemporary corner unit w/unobstructed views of Camelback/ Papago Buttes, city lights & sunsets! Surrounded w/the finest in amenities, best restaurants/ shopping. Open split floor plan 2 BDRM, 2-1/2 BA/2 Car features an extraordinary chefs kitchen w/6 burner gas Wolf range, GE Monogram SS appliances, fabulous 12' slab granite island great for entertaining. Custom designer touches w/new paint/flooring, cabinets/storage added, plumbing/lightin"
"Luxurious Urban Living!!!! 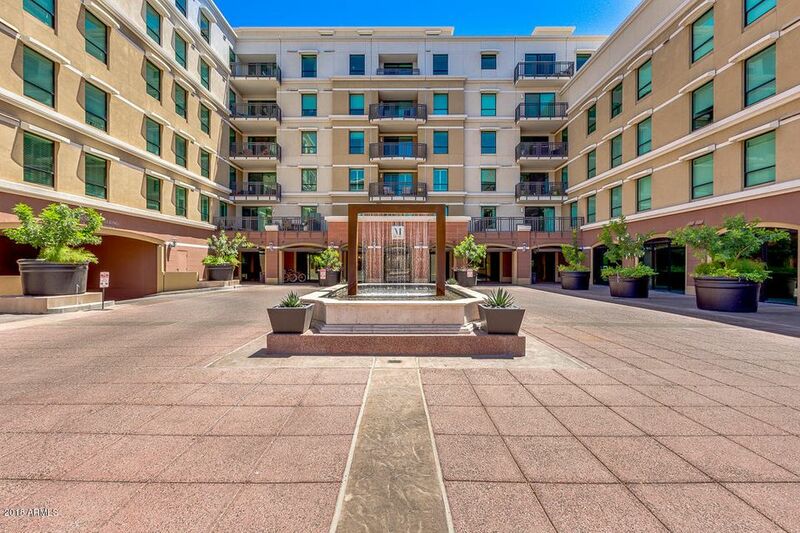 2 bed, 2.5 bath condo in the heart of desirable Old Scottsdale! Interior boasts fabulous great room which integrates eating and entertaining areas seamlessly, walk out to the covered balcony and fall in love with the spectacular 270 degree views of the city. Gorgeous kitchen is equipped with GE monogram appliances, granite counter-tops, Wolf stainless gas range, and breakfast bar. Spacious master bedroom has large windows, mountain view, soaking tub, glass step-in show"
"Luxury condo in the heart of Old Town Scottsdale. 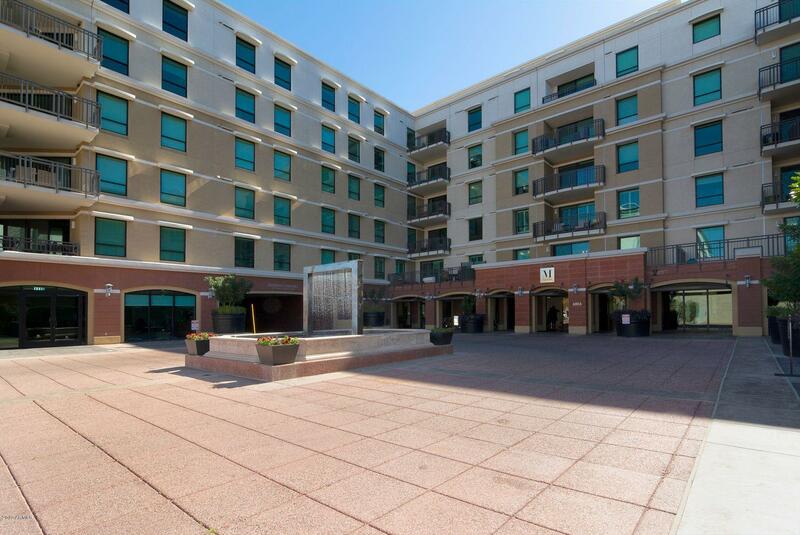 The Mark is a modern chic luxury high-rise condominium complex across from the Valley Ho. This spacious 2 bedroom 2.5 bathroom home has a split floorplan with gorgeous flooring, granite counters, and other luxury finishes throughout. 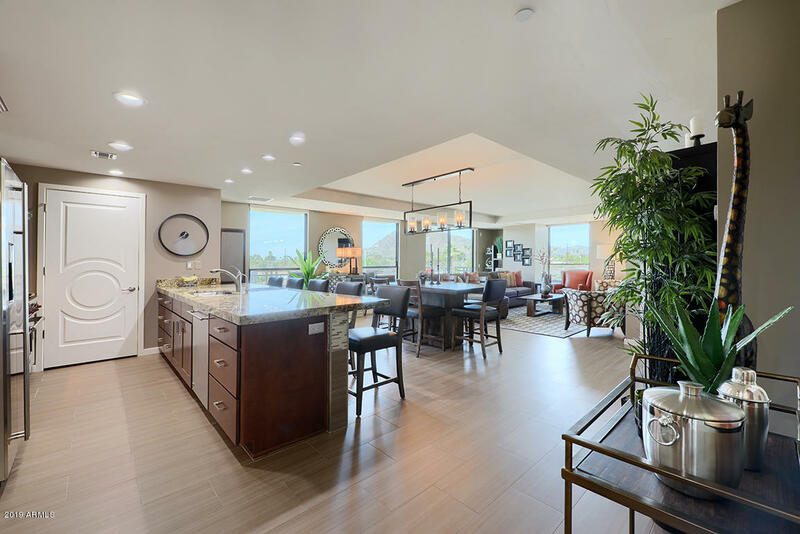 Enjoy entertaining and relaxing outside on the patio with breathtaking views of Camelback and the Papagos. Walk to dinner or bike the paths around Old Town with the property-owned cruisers available to all residents." "Luxury living in the heart of Old Town Scottsdale. This beautiful and bright condo has an amazing kitchen with Wolf range & granite counters. Master bedroom is very spacious and has a huge walk-in closet. The rooftop heated pool and spa have stunning views of city lights and Camelback Mountain, built-in BBQ, lounge decks, patio seating and an expansive Ramada. Amenities include 24 hours fitness center, Conference room with High speed internet. Business Center. Underground secure parking. Complem"